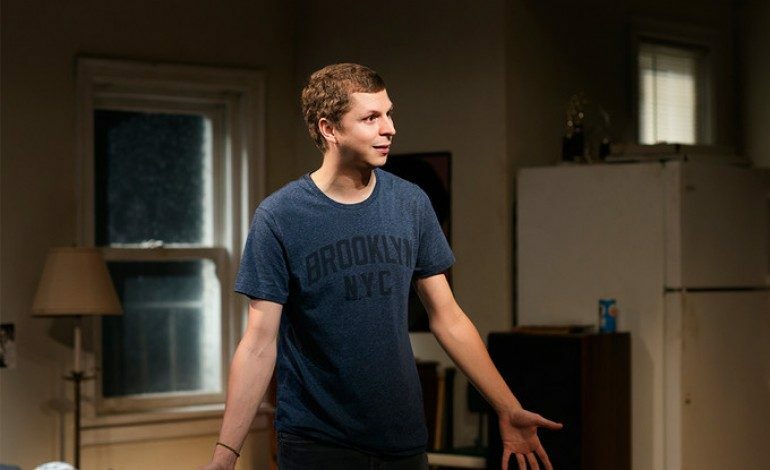 Michael Cera (This is the End) has joined Bad Fever director Dustin Guy Defa’s Human People, re-teaming with Tavi Gevinson (Enough Said), his co-star from his recent Broadway debut in This is Our Youth. Abbi Jacobson (TV’s Broad City) is also set to star, according to The Hollywood Reporter. The large ensemble cast also includes Isiah Whitlock Jr. (Chi-Raq), Michaela Watkins (Still Punching the Clown), Ben Rosenfield (A Most Violent Year), Bene Coopersmith (L for Leisure), Philip Baker Hall (Bad Words), Frank Mosley (Gallows Road), and Rosalie Lowe (For the Plasma). The story captures the everyday life of a group of New Yorkers and their personal relationships. Cera can currently be seen in A Very Murray Christmas playing a talent agent opposite star Bill Murray (St. Vincent). The Canadian-born actor starred in Edgar Wright’s fantasy-comedy Scott Pilgrim vs. the World and is known for his indie comedies (Juno, Paper Heart, Nick and Nora’s Infinite Playlist) and TV work (Arrested Development). He is doing voice acting work on his other current projects – Sausage Party, The Lego Batman Movie, and Blazing Samurai. Sara Murphy, Toby Halbrooks, James M. Johnston, Allison Rose Carter and Jon Read are producing the feature, with Joe Swanberg, Eddie Linker, Peter Gilbert, Matthew Perniciaro and Michael Sherman executive producing. The film is currently shooting in New York.